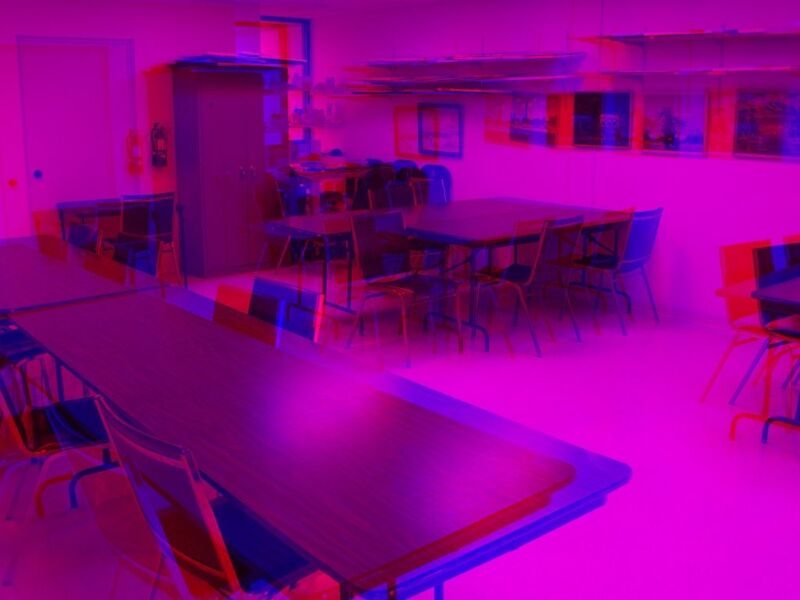 Time to dust off your red/blue viewing glasses for this sampling of my 3-D photography. You may click on each picture for a larger view. 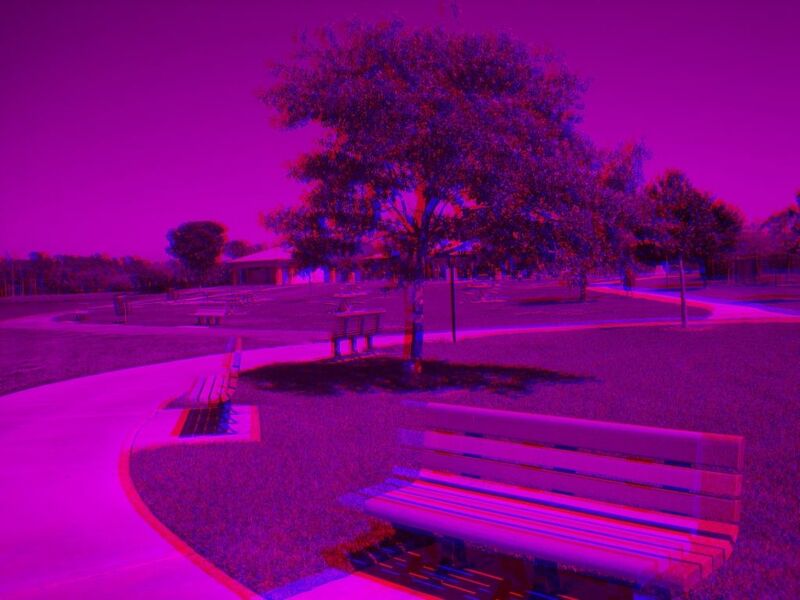 More 3-D photos coming soon. I plan on keeping this approach to photography alive. The strange world of Google Maps. Google Maps has got to be one of the coolest tools on the Web. Where else can I go on a virtual drive all over the country without leaving my computer? I can “drive” by houses where I’ve lived in the past as well as houses where members of my family live. Recently I’ve especially taken interest in my late grandmother’s house. The photo of the house as seen on Google Maps looks very haunting, just standing there under the clouds. The house itself is overflowing with memories of my many visits, from many years ago when I was little to just weeks ago when I paid one last visit to the house to salvage anything I needed before the new owners move in. I’m going to miss that house and of course the people who once lived there. 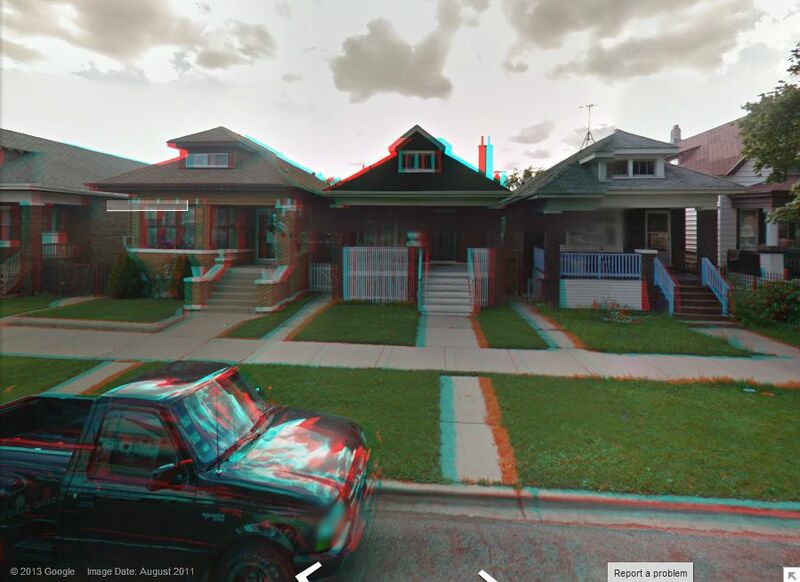 I took the below screenshot of the house while Google Maps was in 3-D mode. Seeing the photo through my viewing glasses does breathe some life into the street view but there can be some strange side effects. 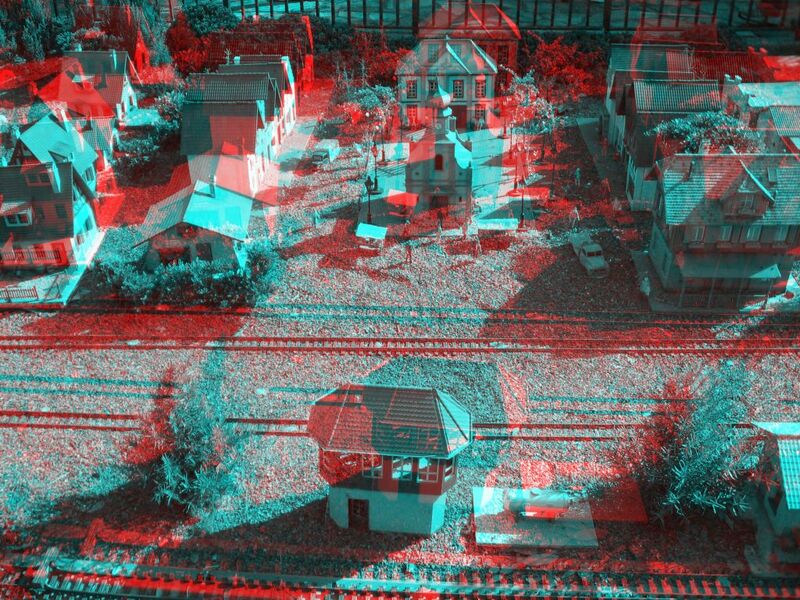 If you have a pair of 3-D glasses, put them on now and pay close attention to the house on the right. 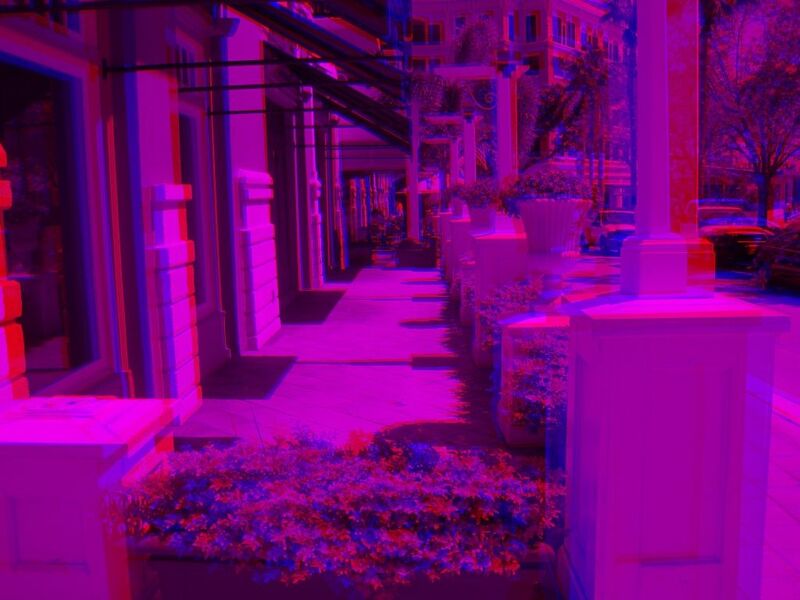 When seen without the glasses, the houses are all lined up in a row, but when you put the glasses on, the house on the right appears to sink into the background, making the front steps appear stretched and elongated. I don’t know how Google renders the street view in 3-D mode but it does produce some interesting, if not surreal, results. The recent surge in the 3-D photos I’ve been posting on this blog have been made possible by the DVDVideoSoft’s Free Studio, which contains an entire suite of freeware utilities to convert your audio and video files to other formats. There are also utilities for creating your own 3-D photos and videos, both of which are easy to use and create superb results. 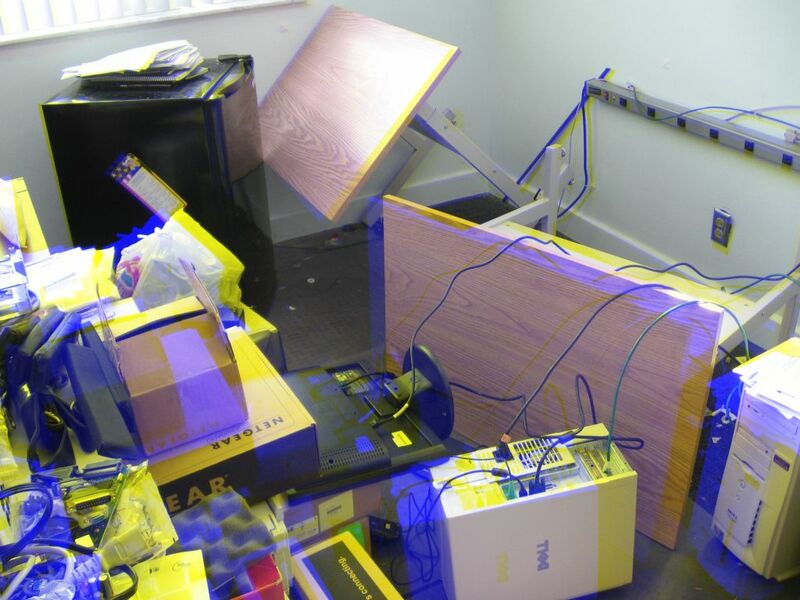 The 3-D photos were taken with an ordinary digital camera. After taking the first picture, I move the camera a few inches to the right and take the second picture. 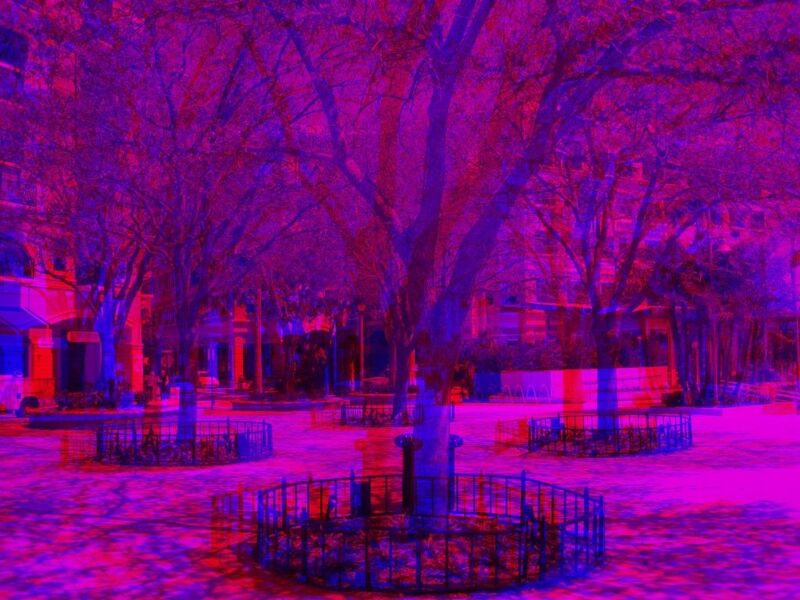 I then use the free 3-D photo maker to combine the two photos to create the final anaglyph that is viewable with red/blue viewing glasses. 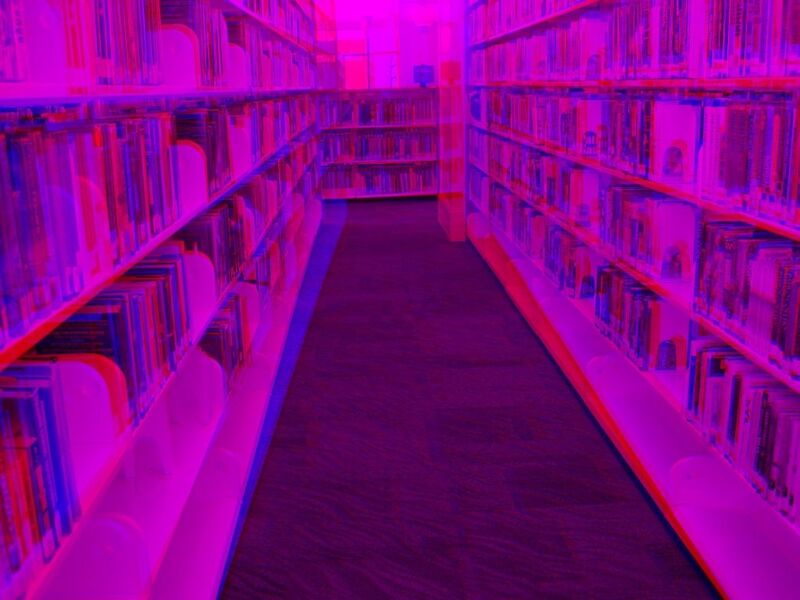 I’ve also tried out the 3-D video maker and it too works well. The video I used was taken from aboard a commuter train I rode to work one morning. I aimed the camera out the window to show the traffic the train was holding up. I loaded this one video in the 3-D video maker and less than a minute later it created the video that looked incredible when I watched it through the viewing glasses. When creating 3-D videos with one video, you would have to shoot the video so that the motion is constant, as in riding the train and aiming the camera out the window. Good stuff. 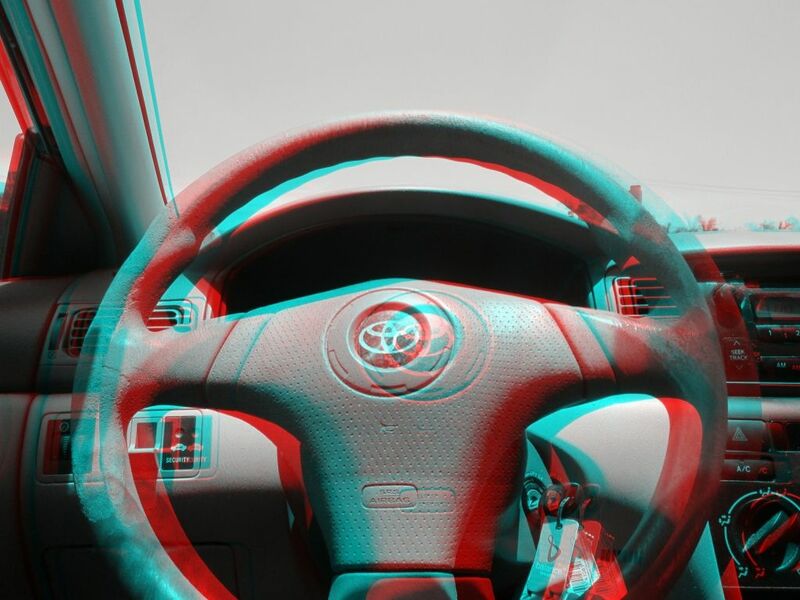 My passion for creating 3-D photography has just been reignited all over again. 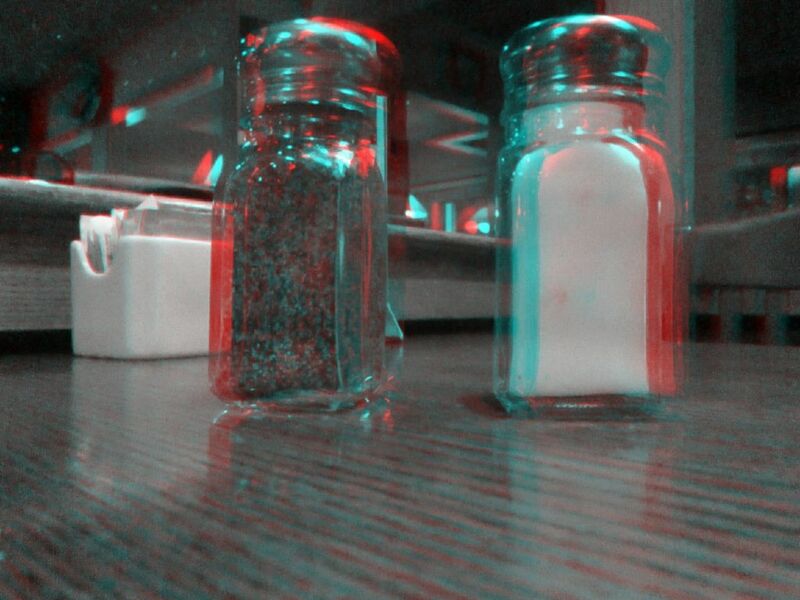 Salt and pepper shakers in 3-D.
Directory Blaster is a game that actually makes it fun to delete your files. Just browse to the folder you want to delete and your files turn into flying enemies you must destroy with your ship’s lethal lasers. When you put on your red/blue glasses, the gameplay takes on a completely new dimension, so to speak. Keep in mind that this game really does delete your files as you shoot them so be careful when choosing which folders to destroy. I had so much fun with this game that I had to create temporary folders containing files I copied from various locations on my hard disk. That would be the safest way to try out this game before you render your hard disk helpless on account of your blasting the entire Windows folder to smithereens. 3-D photos from Disney World. Last weekend I went to Orlando to visit Disney World. It’s long been one of my favorite places to visit and this year was no exception. 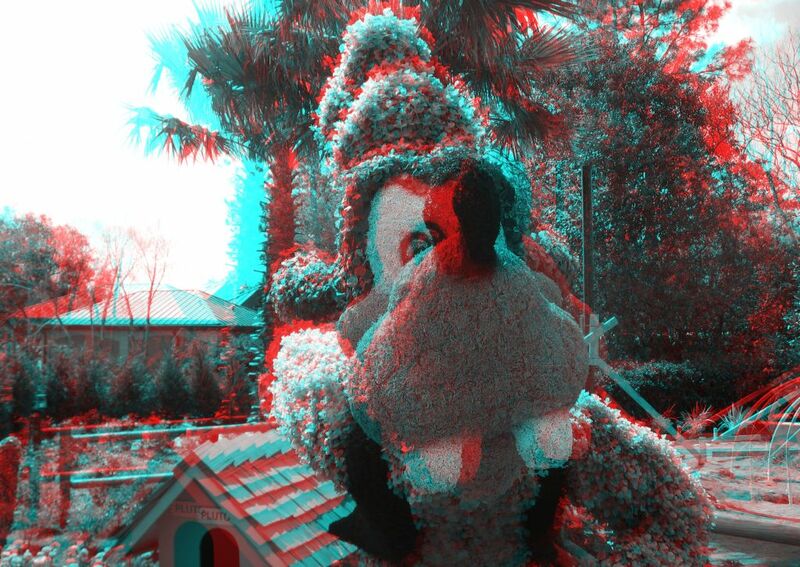 Here are some 3-D photos I took at Epcot for viewing with your red/blue viewing glasses. 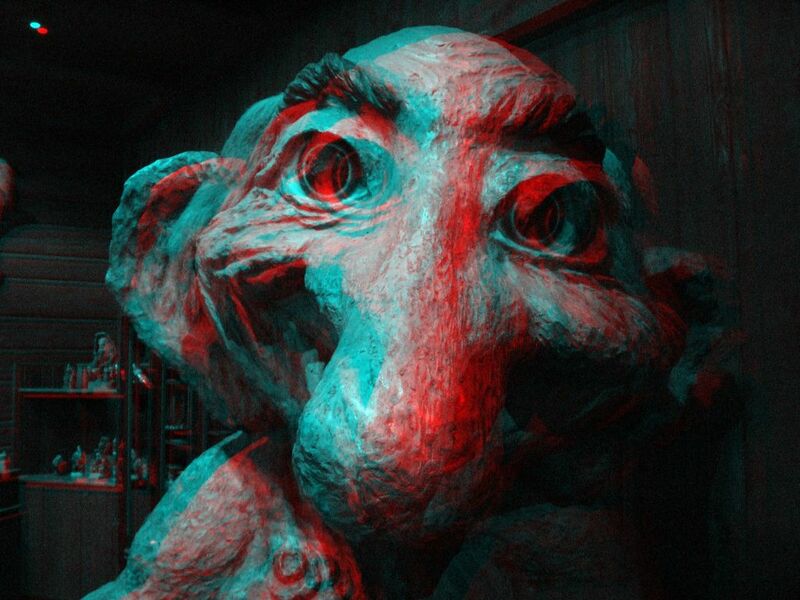 This first picture is of a giant troll statue that rests in the gift shop at Norway’s section at the World Showcase. Be sure to check out the thrilling Maelstrom boat ride here. This is a miniature village complete with a running train. It’s located near the American Adventure in the World Showcase. Finally, here’s a plant sculpture of lovable Goofy to be featured in Epcot’s upcoming Flower and Garden Festival.